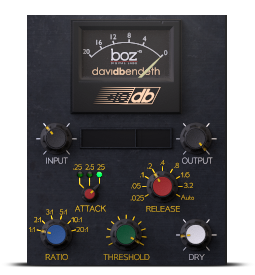 The +10db Compressor Plug-in, the brainchild of multi-platinum award-winning producer David Bendeth (Paramore, Breaking Benjamin, Papa Roach, Of Mice & Men, A Day to Remember) and innovative professional audio plug-in designer Boz Digital Labs, is a channel strip plugin meticulously modeled after one of the industries most iconic hardware compressors. 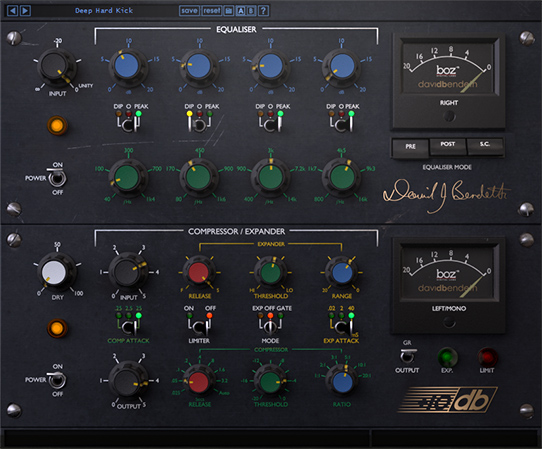 +10db Compressor is the first of it's kind channel strip plugin. This plugin is modelled after a very highly sought after compressor hardware unit. We didn't just use the hardware unit for inspiration, we dug in deep and made sure that it sounded just like the original. The +10db seemed like a perfect match for SONAR’s ProChannel, and thanks to a partnership with David Bendeth and Boz Digital Labs, the amazing +10db Compressor and Equaliser will now be available in the ProChannel format as well as VST3, Audio Units, AAX, and RTAS. The +10db Compressor actually includes three separate plugins: +10db Compressor, +10db Equaliser and +10db Channel Strip (available in the +10db bundle). "Like DB [David Bendeth], this thing is pure rock'n'roll! We're loving the way it sounds on drums here."